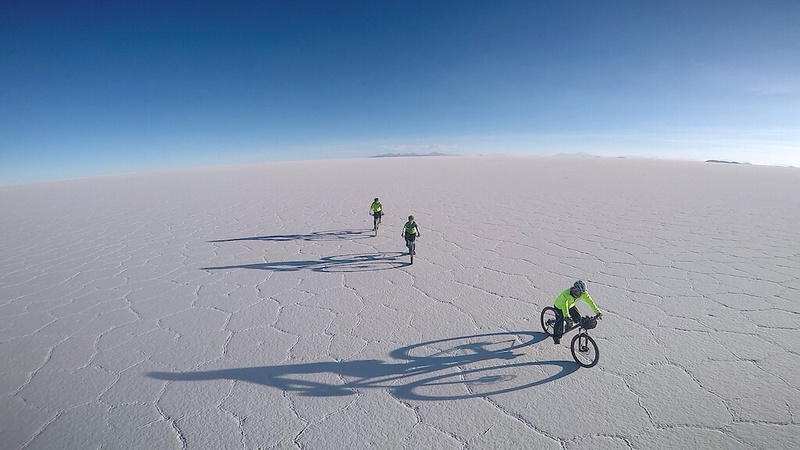 We will ride approximately 1100 km on a vehicle in order to reach remote locations. bicycle touring trip on mountain bike. 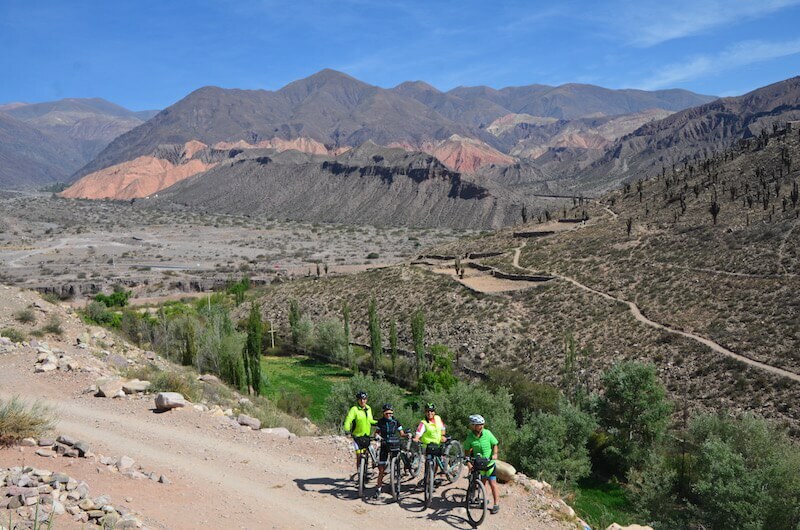 We will have the opportunity to acclimatize at the Quebrada de Humahuaca (between 2200masl and 3500masl). 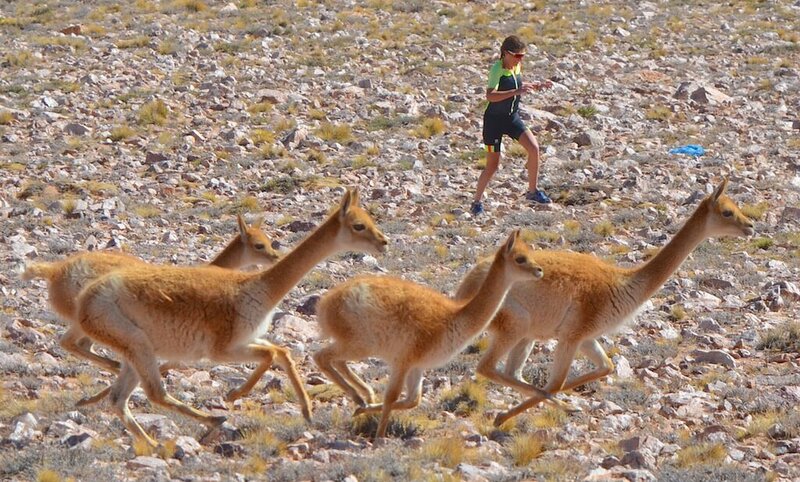 We will appreciate the charms of the place, a wonder of the Argentine Northwest –a UNESCO’s World Heritage Site-. 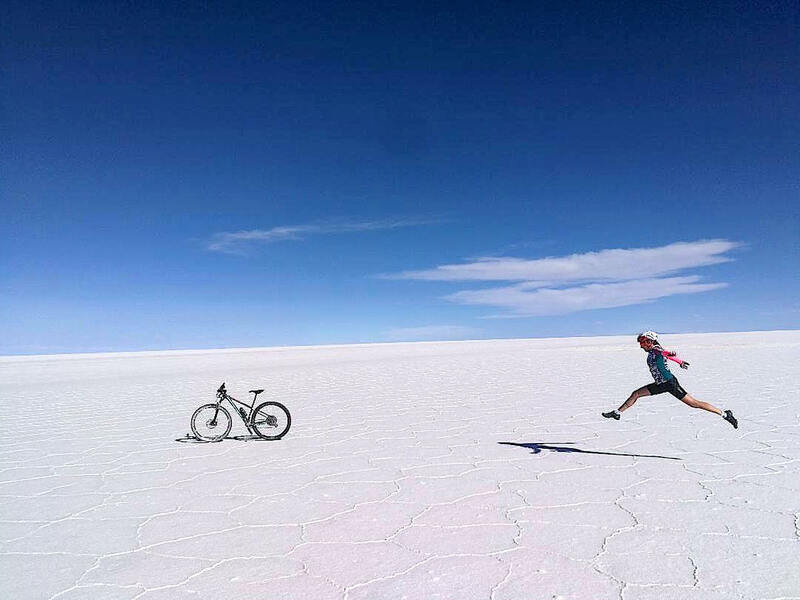 We will enter Bolivia through Villazon and we will ride near Tupiza and Potosi, doing some transfers in order to reach the Salar de Uyuni –the biggest salt desert in the world- where the fascination with space and freedom is magically combined. 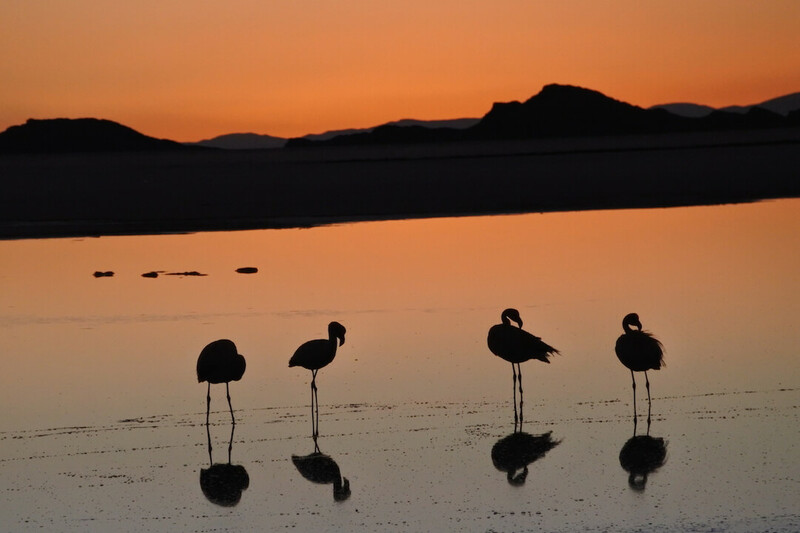 From the salt plains we will go to lake Titicaca. We will ride enjoying the panoramic views and a twisting road that will later become a dirt track, in order to enter the Yampupata Peninsula and its rural communities. We will take a boat to the Isla del Sol, a sacred location where the founder of the Inca empire was born. We will do some trekking in the island and appreciate a unique sunset with the reflection of the Cordillera Real on the sacred lake. Meeting in Jujuy (spot to be determined) during the morning and transfer to Volcan. 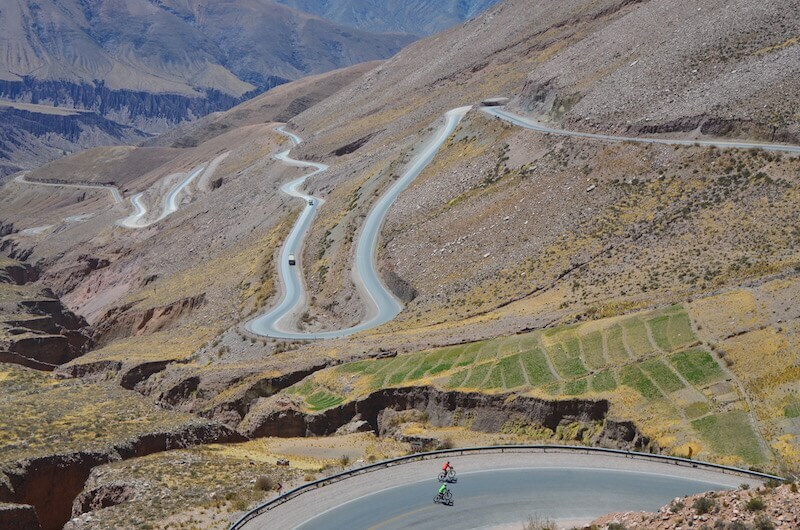 We will ride to Purmamarca (approximately 25k). 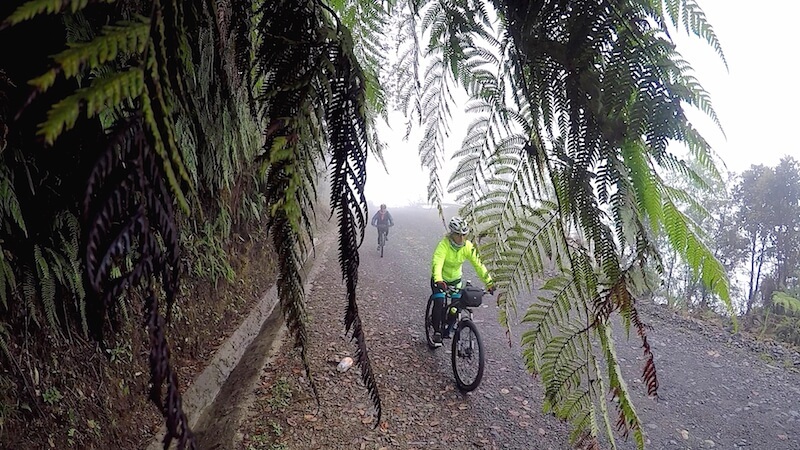 Transfers to the Abra de Potrerillos (4170masl) from where we will descend to Purmamarca, an exciting descent of 25k and 2000m of level difference on the Cuesta de Lipan. 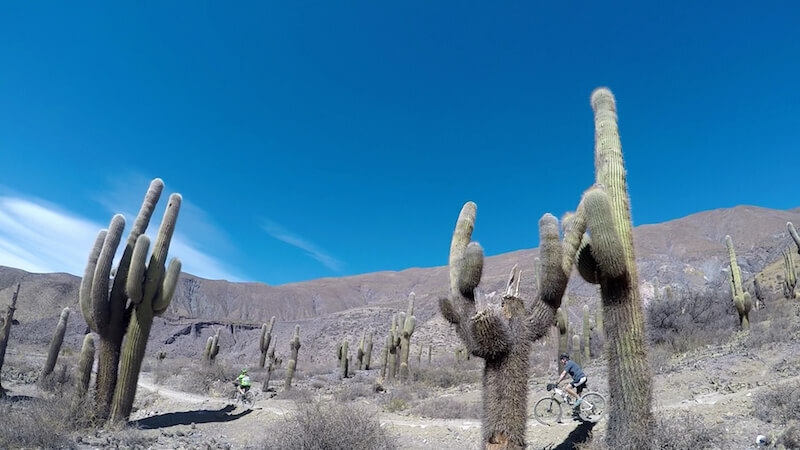 In order to make this interesting stage of bike tourism even more complete, we will take a detour on a dirt trail to the Quebrada de Huachichocana and its ancient and remote spot. Dinner not included. 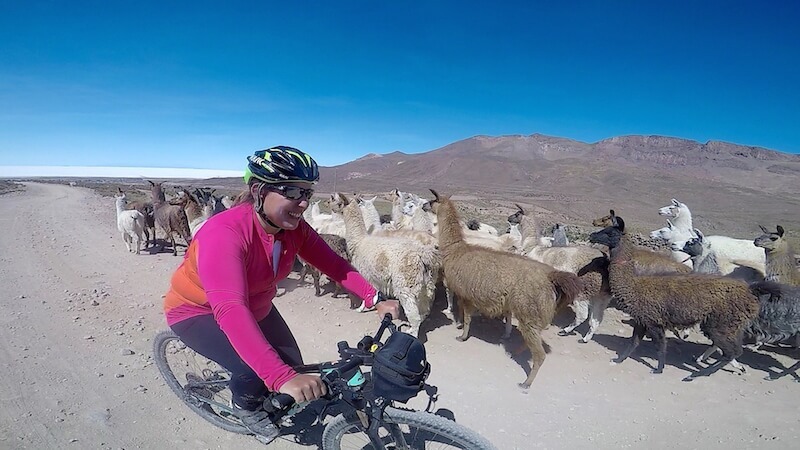 We will ride on our mountain bikes through Tilcara (2460masl) and we will visit this typical and important village of the Quebrada. From there we will ascend on our mountain bikes to the Pucara, and old fortress with a spectacular observation point. 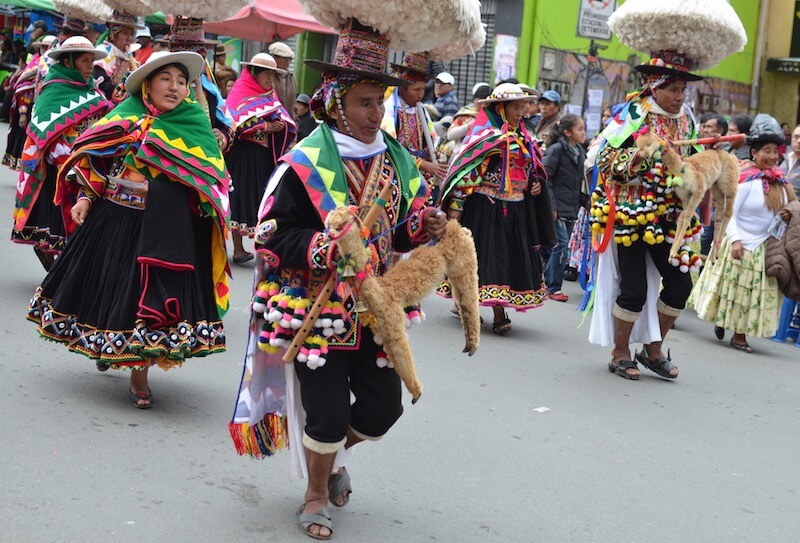 On this stage we will also go through Maimara, the “Cerro de los 7 colores”and the small village of Uquia . 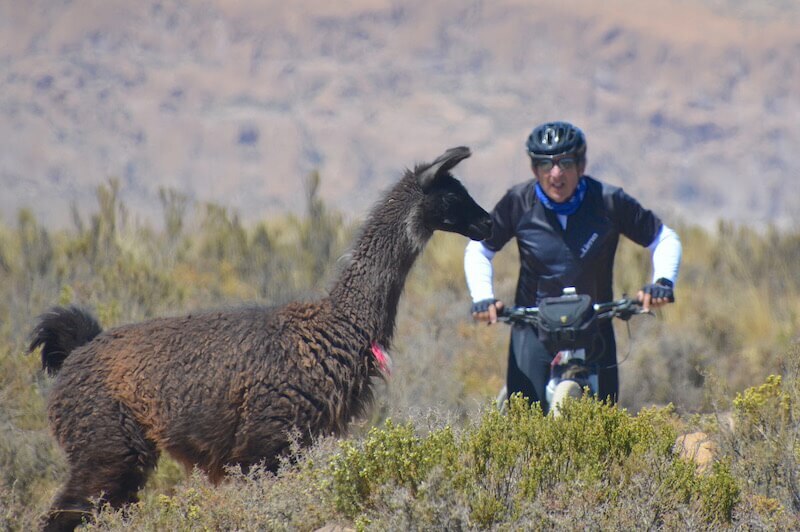 During the morning we will ride around Humahuaca and then transfer to Yavi (150k), a small colonial style village lost in time. 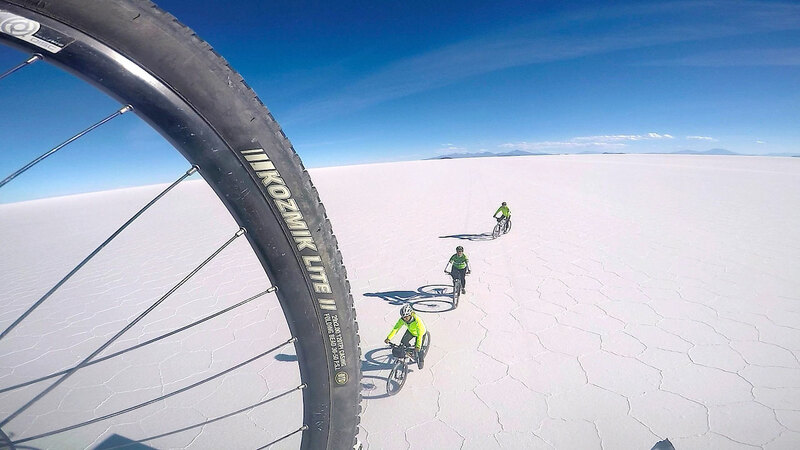 We will enter Bolivia through Villazon. 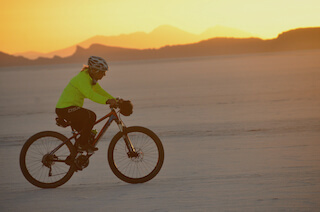 We will ride a stretch to Tupiza on our mountain bikes and then make a 170k transfer to Potosi. Day off in Potosi, in order to appreciate the cultural heritage of this old city (Casa de la Moneda, cathedral, a stroll down the colonial center and market). Opportunity to visit a mine for those who wish to. 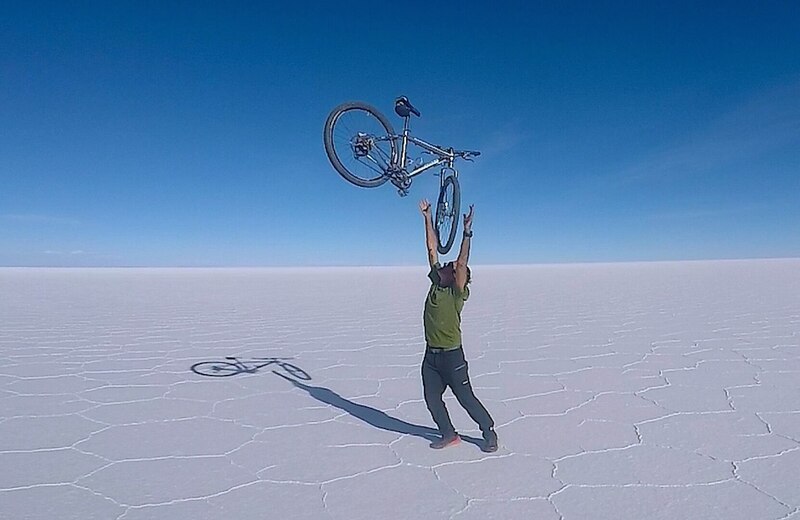 Transfer to Uyuni (about 180k) . 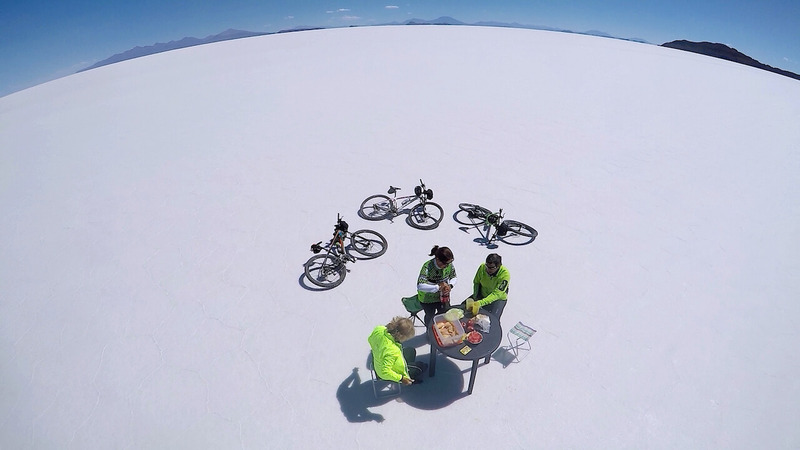 We will ride around the Uyuni salt flats. 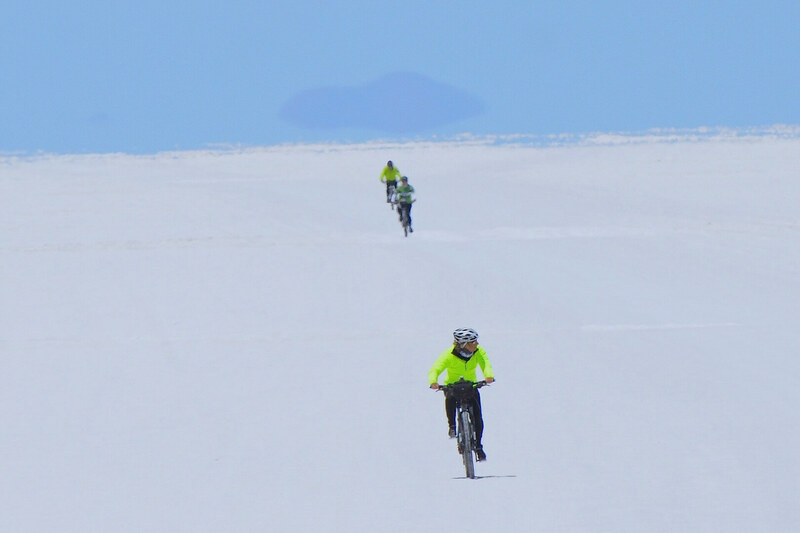 We will finish crossing the Uyuni salt flats on our bikes (approximately 60k of riding) and transfer to the town of Oruro (250k on a vehicle), where we will spend the night in a hotel. Dinner not included. 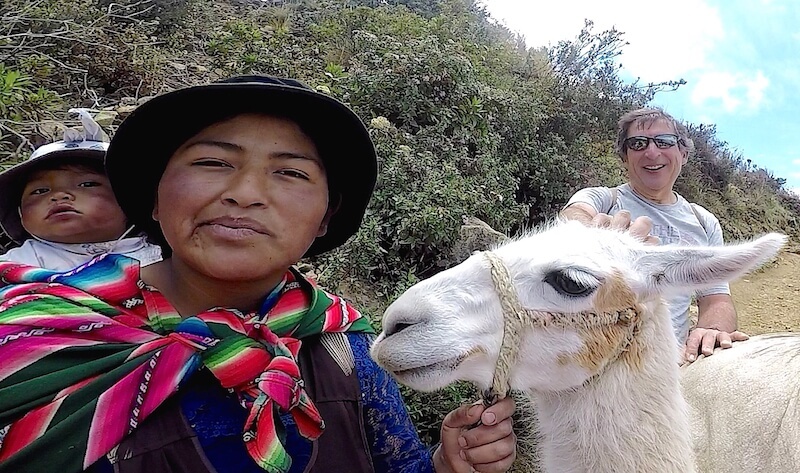 Transfer to the Lake Titicaca (280k on a vehicle). 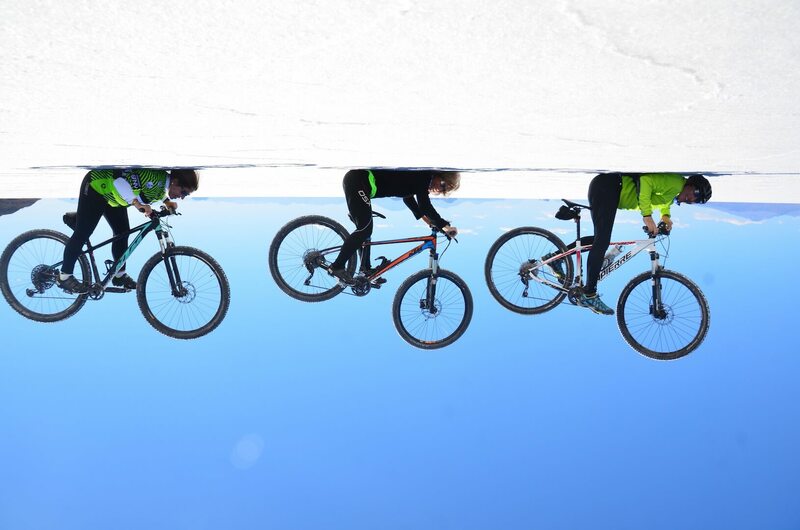 We will ride 50k around the lake Titicaca, with wide panoramic views of the lake. We will ascend a small pass at 4250masl and then descend on mtb to the unique village of Copacabana. We will spend the night in a hotel in Copacabana, on the lake’s shore. 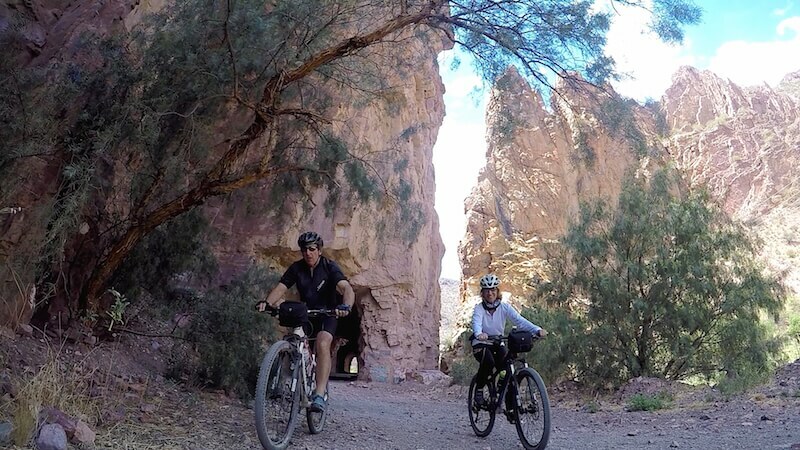 We will ride on a dirt trail to Yampupata, 17k of rural Bolivian roads. 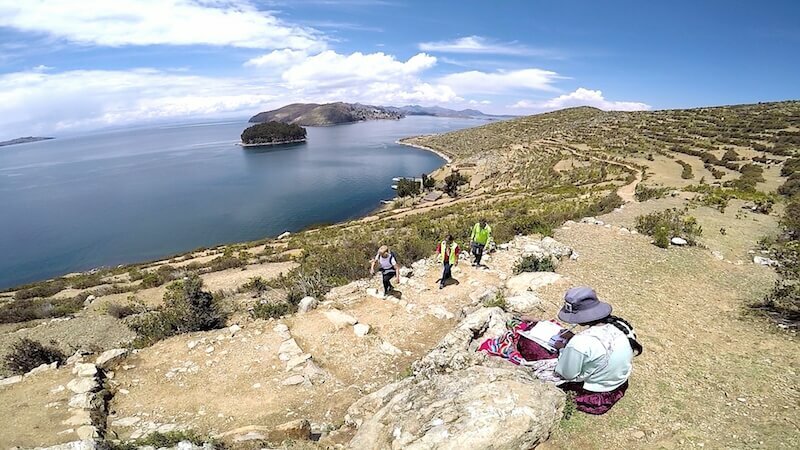 We will go to the Isla del Sol on a motorboat (30 minutes) and do some trekking visiting Inca ruins and admiring the panoramic perspective of the terraces. 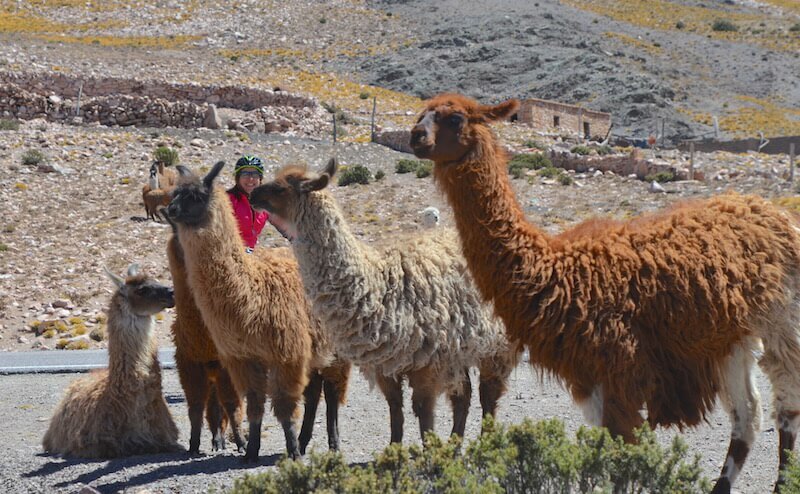 We will come back from the Isla del Sol and make a transfer to La Paz (200k). Before dinner we will have the opportunity to visit the food and craft markets of this interesting city. Lodging in hotel and farewell dinner. medium. 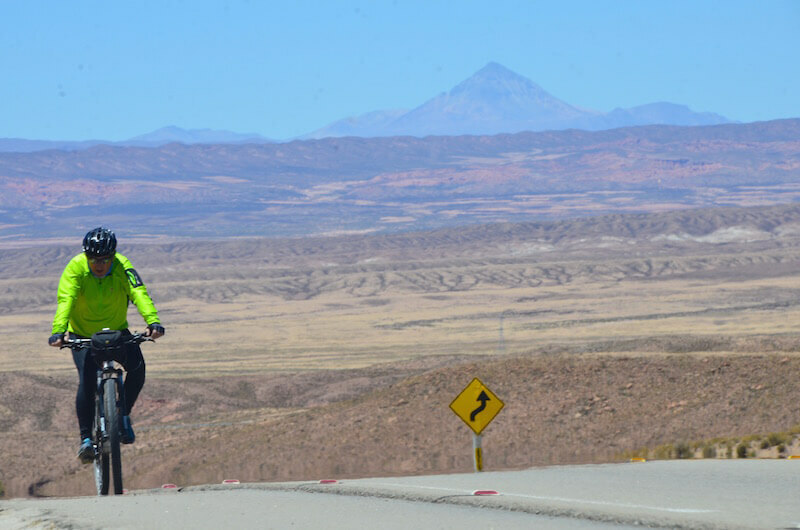 The difficulty of this bike trip is determined by the fact that we will be riding almost constantly at high altitude (between 3500masl and 4350masl). 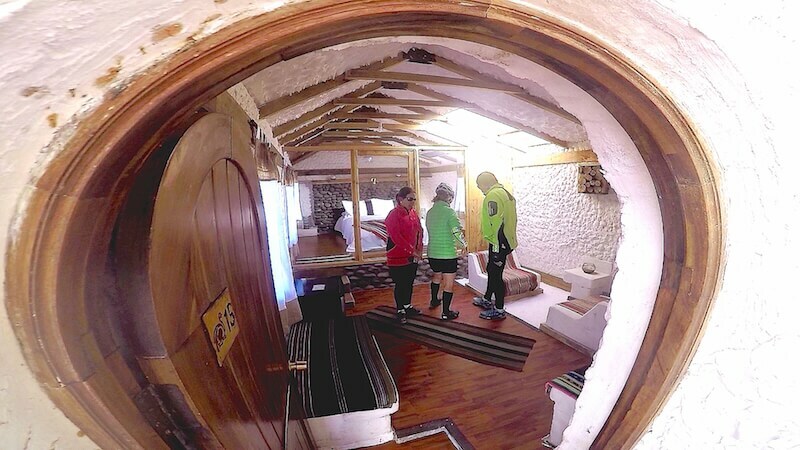 Our experience in several previous trips guarantees that the stages, the slow pace and the gradual level differences will help us to get acclimatized in order to enjoy the trip. Note: in this case –altitude trip- we will ask the participants for a medical check-up, in order to be reassured and safe.